DynaChem Incorporated is a leading domestic producer of Aromatic Sulfonic Acids as well as industrial Resins and Specialty Products. DynaChem's aromatic sulfonic acids are available in certain water or alcohol solutions. 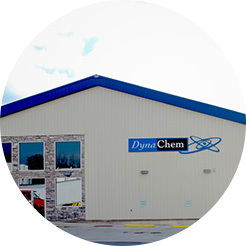 Custom formulations are also available in solution form, and can..
DynaChem Incorporated is built on a strong chemical and technical research foundation. Our skilled staff of chemists and engineers have extensive. At DynaChem quality is not only a program; it is the way we do business. Our mission is to respond to our customer's needs by producing high-quality, defect-free materials. Our Quality Assurance Laboratories are equipped with state-of-the-art analytical instrumentation ensuring timely and precise information. Quality systems are in place for every process in our operation, from receipt of raw materials to shipment of finished goods with ISO certification. In today's environmentally conscious climate, it is important to carefully consider the long-term implications of our actions for present and future generations. That is why DynaChem Incorporated takes great pride in rigorously adhering to all environmental regulations.The health and safety of all our employees, and of our community is our primary concern. HAZOP studies, risk assessment programs, employee training along with process design and control all help to ensure proper safety and environmental responsibility.and precise information.